The wheel is divided into fifty equal segments divided by spokes or pins. Each segment is associated with numbers or a picture. Players will make bets on where they think the wheel is going to stop. 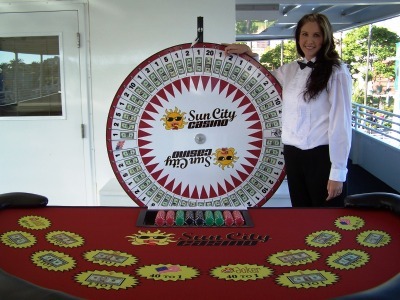 The wheel is spun by the dealer and the winning segment is indicated by the pointer above the wheel. The symbols are the $1, $2, $5, $10 and $20 bills — and two special symbols, a joker and the American flag, which appear only once each. Players wager on the symbols. The $1 bills pay at odds of 1 to 1, the $2 bills at 2 to 1, the $5 bills at 5 to 1, the $10 bills at 10 to 1 and the $20 bills at 20 to 1. The joker and the American flag pay at odds of 40 to 1.